The hammer, the sickle and the star... symbols of communism! The Chùa Một Cộtwas built by Emperor Lý Thái Tông, in the 11th century. And legends say that the emperor was childless and dreamt that he met the Avalokiteshvara, who handed him a baby son while seated on a lotus flower. After that the emperor married a peasant girl that he had met and they had a son. 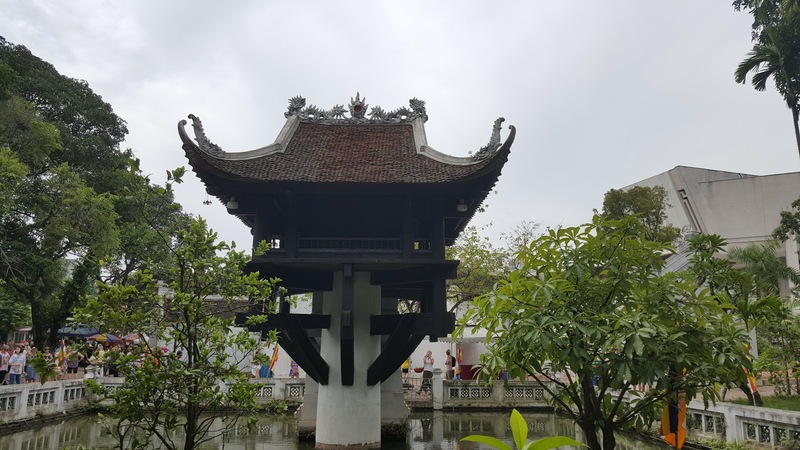 The emperor constructed the temple in gratitude for this in 1049, as advised by a monk named Thiền Tuệ - by erecting a pillar in the middle of a lotus pond, similar to the one he saw in the dream. 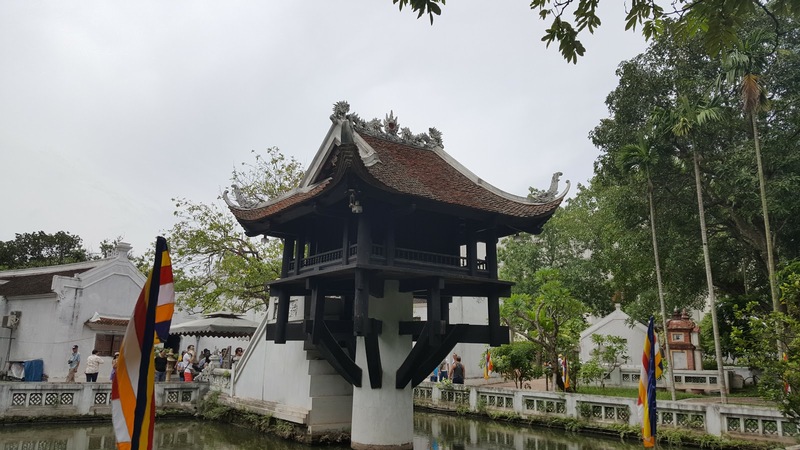 In 1954, the French forces destroyed the pagoda before withdrawing from Vietnam after the First Indochina War, It was rebuilt afterwards. Shouldn't that be called barbarism?